Kent County Council has called in Seven Hills to help with a £35m effort to attract business to the region. Seven Hills won the comms work around the three-year Grow For It campaign following a pitch process. 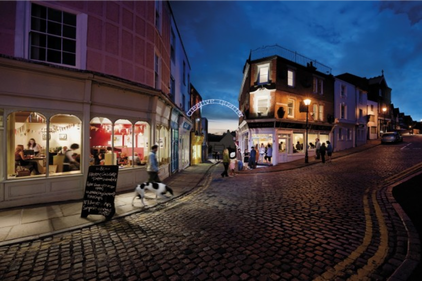 Its focus will be to help spread work around the campaign, which will promote the benefits of locating businesses into the coastal districts of Shepway, Thanet, Dover and Canterbury. Grow For It is being launched in support of Kent County Council’s Expansion East Kent project, which offers £35m in loans to businesses that want to expand in the area or move there. Michael Hayman, Seven Hills co-founder, will be leading the agency brief and working alongside County Council Leader Paul Carter. Hayman said the agency had been brought in to do research work ahead of working on the campaign itself. ‘We’ve looked at other areas around the country and the way they were promoting and positioning themselves and we believe that this money is a potential game changer. Grow For It will be developed into a full programme of events, focusing on an intensive period of activity over the next ten months. It will also focus on targeted industries including technologies, tourism and scientific research.